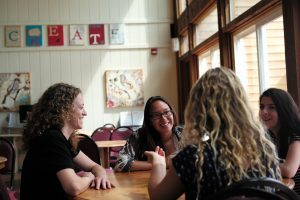 How Does Solstice East Help Teens who Self-Harm? Solstice East is dedicated to helping teenagers who self-harm by implementing a holistic and natural approach. Self-harm is an act of deliberately causing damage to oneself. Examples of self-harm can include cutting, burning, self-bruising, and pulling or ripping skin and hair. Our methods for treating self-harm in teenagers are therapeutic based. Solstice East builds strong relationships with our patients as a beginning measure to any program. When trust and relationships are established, we can then assess what the proper treatments should be for each teenager. Our staff is trained to not only help with repairing the mind, but also the entire body and soul. Our basis for helping teenagers who self-harm follows in our 3 core pillars: relationship based therapy, principle driven therapy, and experiential therapy. 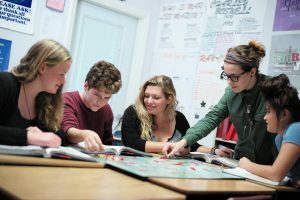 These theories, along with equine therapy, psychiatric help, and academic and mindfulness activities all work together to create a safe and friendly environment for teenagers to thrive. What are the Causes of Self Harm In Teens? 15% of teens reported to have performed some sort of self-harming. The prevalence of self-harm among teenagers has been steadily growing. Reasons for self-injuring break down into three general categories: psychological, social, and biological. Of these, psychological functions are most commonly citied and center around reducing psychological pain, expressing and alleviating psychological distress, and refocusing oneâs attention away from negative stimulus. Many teens that self-harm are suffering from other disorders, such as depression and anxiety, which cause them to alleviate the stresses they feel by self-harming. According to a recent study, participants of the study who had self-harmed listed reasons for doing it, to upset others, relieve anxiety, relieve anger, forget about something, make someone else take notice, punish myself, kill myself. Teenagers today face higher levels of stress than previous generations. Not only are they academically pushed to the limit, but they also have to live and function in the era of social media. Self-harm is a form of escape, and a coping mechanism for teenagers to be able to deal with the world around them. Self-injurers tend to feel very empty inside, over or under stimulated, unable to express their feelings, lonely, not understood by others, and fearful of intimate relationships and adult responsibilities. Teenagers who self-harm often have larger psychological issues to work on prior to receiving therapy. 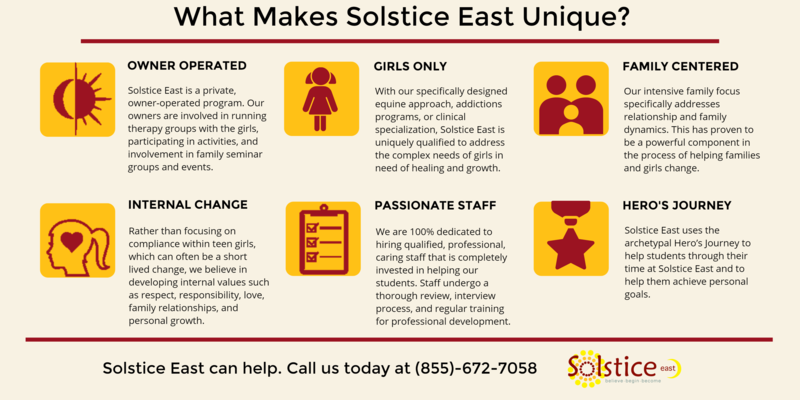 Solstice East focuses on building trust and relationships, and allowing patients to open up to our staff and other young adults in the program. Because self-harm in teenagers is directly tied to psychological distress, we must first assess what mental or emotional issues the teenager is dealing with. At Solstice East, we believe that âin order to overcome the wounds of the past and truly heal,â therapies based on relationships are highly important. Once trust is established, the patient will be open to receiving guidance within the program and when she re-enters the world. Principle driven therapy focuses on the internal values we all have inside. Setting up a strong internal value system will help guide teenagers in the real world. And finally, experiential therapy allows patients to experience real-life situations in a calm and hands-off approach. Solstice East equips teenagers who self-harm with the proper tools to cope with stressful situations. Why Should Parents Choose Residential Programming For Self Harm in Teens? NAMI The National Alliance on Mental Illness describes itself as a âgrassrootsâ approach to improving mental health awareness. An organization that started small, the National Alliance on Mental Illness has now grown to become one of the best-recognized mental health organizations in the nation with branches all across the United States. Your Little Professor Although Your Little Professor is specifically aimed toward helping children with autism, there are many links and tips for parents regarding improving communication with their child. Knowing how to listen and observe a child can help parents identify moments when a child may need help. Detailed statistics are also available for view.